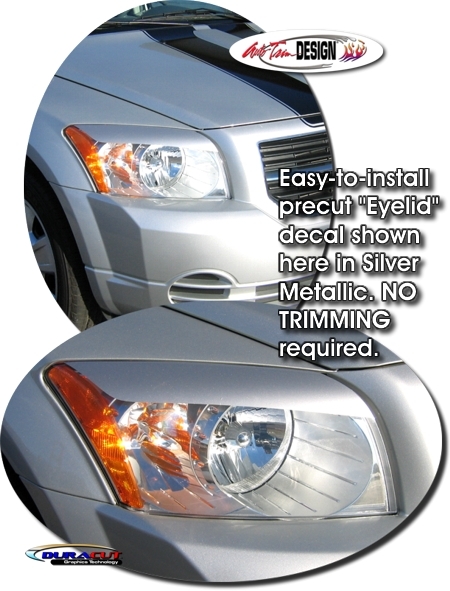 Give your '07-Current Dodge Caliber that "Mean" look with these precut "Eyelid" decals (no trimming required). Decal set comes with two (2) lids (one for each side). Available in a wide variety of colors.